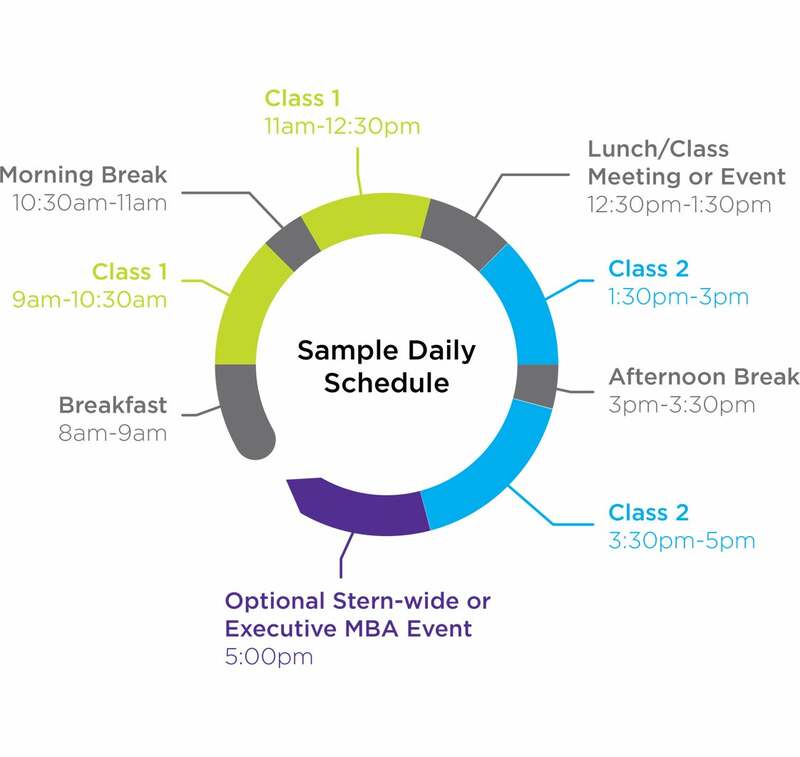 The NYU Stern Executive MBA (EMBA) Program is designed to meet the needs of busy professionals. The program begins in August or January and takes 22 months of coursework to complete. Classes meet Fridays and Saturdays, every other week. Students primarily focus on just two courses at a time to help balance career, rigorous coursework and personal life. The Executive MBA Program kicks off with a one-week orientation residency where students jump right into classes and also start building strong relationships with their classmates. During the 22 months of coursework, students attend class on Friday and Saturday, every other week, at our building in the heart of Washington Square. In addition to class weekends, students participate in Global Study Tours to expand their learnings outside the classroom and build a more global perspective. The academic calendars are in PDF format and you will need Adobe Acrobat Reader to open them. If you need to, you can download the free Adobe Acrobat reader here. 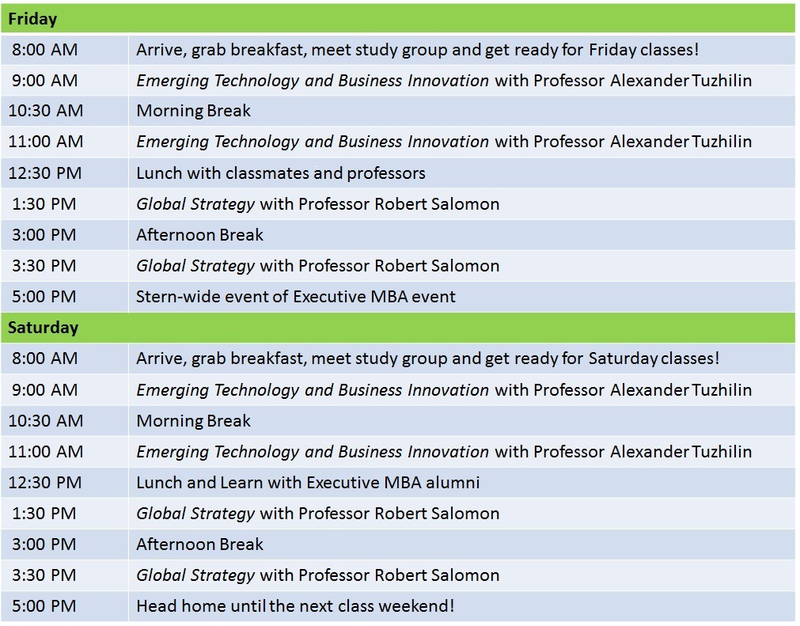 A typical class day in the Executive MBA Program begins with breakfast on campus with your classmates. Students go on to attend two courses during the day. A lunch break provides a great opportunity for students to connect with their classmates on a more informal level outside the classroom. NYU Stern also provides special programming during lunch focused on important business topics and other areas of interest to our students.